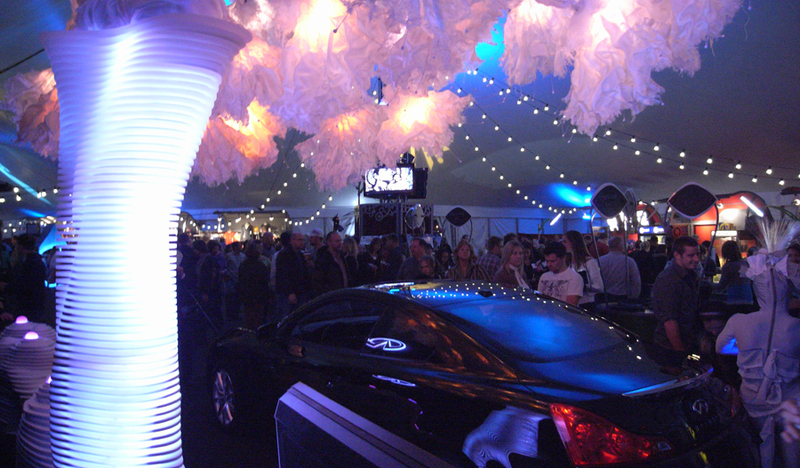 We were commissioned to envision and create a traveling installation for joint marketing partners INFINITI and Cirque du Soleil that would be showcased in the main tent of the North American Cirque du Soleil venues. 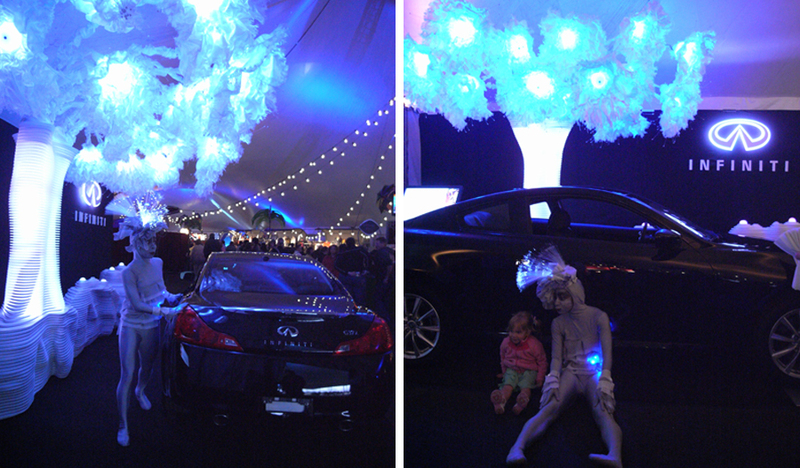 Both brands take significant influence from the power of nature – for INFINITI it is the elegance of natural forms and motion, for Cirque du Soleil it is the childlike spirit and whimsy nature evokes. 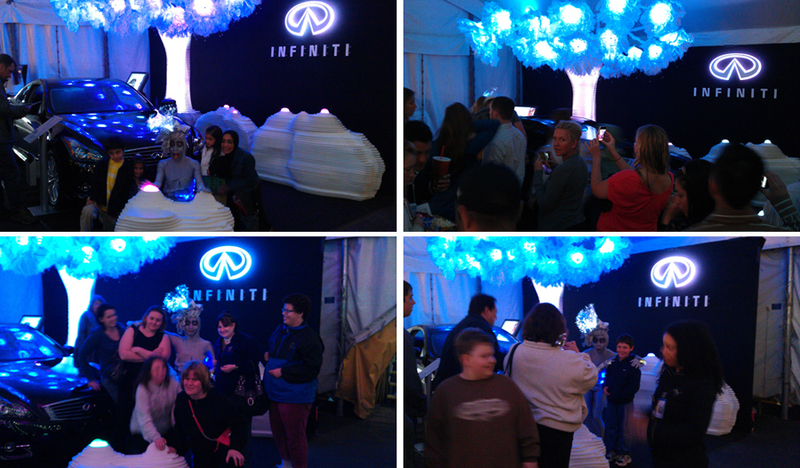 Our creation merged these two unique brands into an interactive landscape of elegantly whimsical climbing/seating rocks and a vibrant, luminous interactive tree. 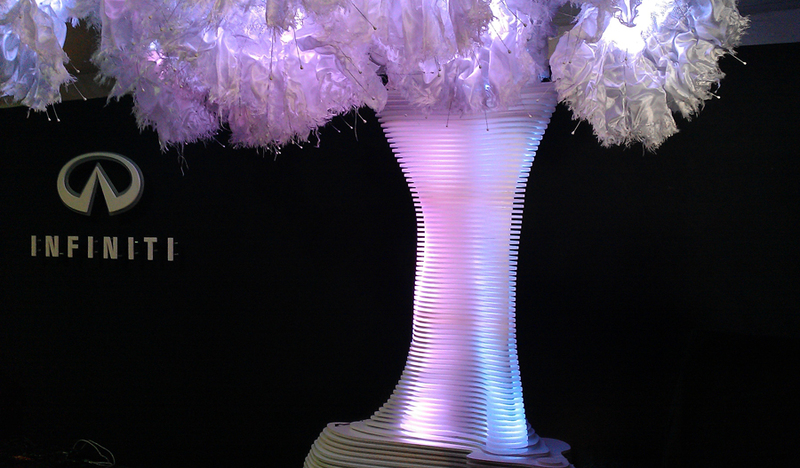 Built in layers cnc-milled frosted acrylic, the tree contains LED lights, which pulse, change color, intensity and shimmer speed while being controlled by various hidden motion sensors that allow crowd participation. 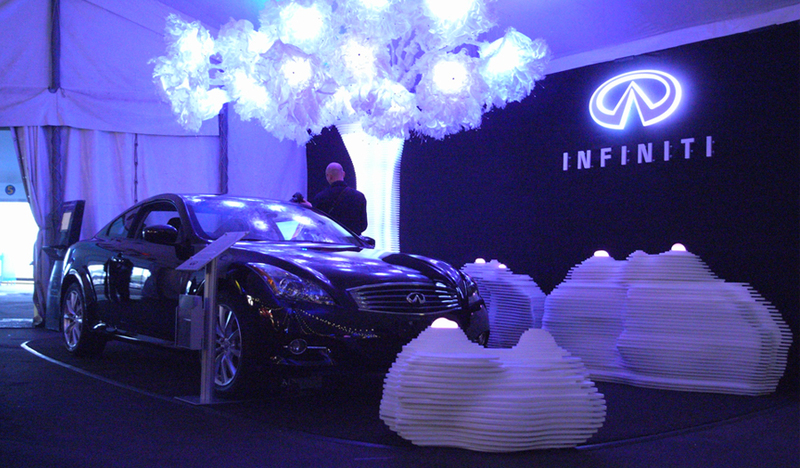 The installation was so successful during the 2011 marketing season, INFINITI elected to commission a second installation and re-run the marketing campaign in 2012.